Applying for car financing online is a simple and easy thing to do. 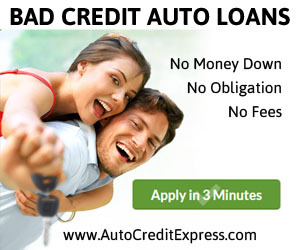 Even if you are dealing with bad credit you still have a good chance to get approved for a car loan. There is no obligation for you to purchase a car once you get approved. We just want to let you know you have that option. Sandra we just sent you an email. Looking for an in expensive car to get me back and forth to the Doctors and shopping. Yes, we help people daily purchase cars. Just apply and we will be able to help you! Please call us at 844-392-0940 and we would be happy to talk to you. I am Larry Harris wife; we would like to get rid of this car and get an small SUV. U can help us even with Bad Credit? Yes Larry, apply with us and one of our dealers will contact you! Thank you for choosing Quickcarloansnow.com! Have a great weekend! Hey guys,I’m so excite for my first new car in U.S. I would like to be contacted by e mail. That’s the best way to get in touch with me. Ethan, Yes, we work with dealers for any credit situation. Please email that’s the beat way to contact me at the moment. Okay I will let them know. But have you applied yet? Hi Renee, you first have to apply here: quickcarloansnow.com/apply-now to get qualified. I have bad credit. Need car for own job startin. Prayin to get. it.I believe it when I get it! ? It should take 24-48 hours to know if you have been approved. just want to know if I can get the loan, even if I have bad credit. Mark you might apply to get approved. want and need a car very bad. Wanted to see if you could assist me. I’m on a monthly…poor credit…zero money down… Need car to get to my doctors appts. Can u help? Yes, Brenda, you must apply first to see if we have a auto loan program for you. You can can apply here: quickcarloansnow.com/apply-now. Thank you. Hi David, have you tried to apply with us? I just applied when will I know if I’m approved? Also I’m self employed does that matter? What state do you live in so we can find your application? No self employment shouldn’t matter. We do have car dealers in Ohio and we see that you have applied and we are working on getting you placed with a local car dealer. Thank you for your interest with us! You can apply here at the link: https://www.quickcarloansnow.com/buying-a-used-car/ or you can call us at844-392-0940 to see if we have car dealerships near you. Hello my name is Sheree, I’m currently applied on the site for a auto loan, and I am employed, and I need a good reliable car for about 200 a month I have very little down payment. I really need y’all help, with my Job I need a car. We will get back to you tomorrow. Thank you for applying with us.